How To Be A Godly Woman: What Does Biblical Womanhood Look Like? Have you ever determined to be a more Biblical woman? If you’re visiting this post, more than likely you have. As Christian women we often think about how God wants us to conduct ourselves. And while the Bible gives us plenty of examples, it can be challenging to form a solid picture of what a Biblical woman really looks like. Let’s explore this further as we dive into the attributes that we can find in a Biblical woman and how we can apply these to our lives as modern Christian woman, from the inside out. Being that a Biblical woman puts God above all else, naturally she is also in prayer quite frequently. Prayer needs to be an important part of your everyday life. Because God wants to have a real relationship with you, and that can only happen if you are communicating with God on a regular basis. And doing this means that we are continually in prayer. In the good times and the bad times. The hard times and the light times. We should invite God into our lives and our hearts without ceasing. In an effort to have a strong relationship with God, praying is important. But studying scripture enables us to hear back from God about those supplications that we bring before Him in prayer. The Bible is many things. It’s a love letter from God to His people. It’s history (read: HIS-story). And it’s God’s revealed will. And that’s important because that means that we have access to it in order to teach us, reprove us, and train us up in righteousness. One of the definitive markings of a Biblical woman is that she has a level of self-control over her flesh. Because the spirit wars against the flesh and it is our job to bring our flesh into submission to our spirit (which is perfected in Christ). Bearing the fruit of self-control (Galations 5:22-23) is a sign that the Spirit of God resides in you. Because it isn’t of our own strength that we practice self-control (despite how it sounds). But rather it’s by leaning into the strength of God that this is possible (Matthew 19:26). So controlling our fleshly desires is extremely important. And we do that by denying our flesh those things which are sinful and disciplining ourselves to practice those things which are profitable to us. A woman who lives Biblically can be trusted by those closest to her. From her friends to her children to her husband. The Bible says that he (or she) who is faithful in little, to him (or her) more will be given, but to those who are not faithful, even what they have will be taken away. So being trustworthy and reliable to others and to God is important in order to be a more Biblical woman. Finding a balance between being gentle, yet strong and confident can be challenging! But the Bible speaks about all of these attributes being present in a person (and in this case woman) of God. And at the end of the description of the Armor of God, Paul encourages believers to be strong in the Lord and the power of His might. We are to be strong and confident in the gifts, talents, and salvation that God has given us. But always gentle in the ways that we admonish and teach others (including our children). We should always be quick to show the love of God with others through kindness and generosity. Because we are God’s elect, we must always strive to put off the fruits of the flesh and put on the fruits of the spirit in everything that we do as Biblical women. And always being ready and willing to share the blessings that God has given us is an important part of being kind and loving towards others. The Bible has a lot to say about generosity, and it’s a true sign of your submission to God’s will. But modesty doesn’t begin and end on the outside. Rather, it starts with a renewed heart that is humbled and devoted to God. True wisdom doesn’t come from man, but rather from the Lord. And we must always remember this and be aware of the “wisdom” being thrown at us left and right from the world. Just because someone has advice to give doesn’t mean it’s good advice, or advice that God would want you to take. And this wisdom from God isn’t unreachable, but rather we are to continuously seek out the Lord and ask Him for the wisdom we need. And it’s important to remember that being wise doesn’t always mean knowing everything. But rather being willing to take advice and instruction when needed. Even though the world wouldn’t agree, God tells us that wives are to submit (aka obey) their husbands in their marriage. And this is because our marriages are meant to be walking examples of the relationship the Church has with Christ. There will be times when your husband’s actions don’t seem respectful and loving towards you. But remember, that we honor and respect our husbands not because they deserve it, but because God commands it. A Biblical woman works hard to teach her children about God because they are a gift from God. And leading them back to God is being a good steward of these precious gifts that you’ve been blessed with. 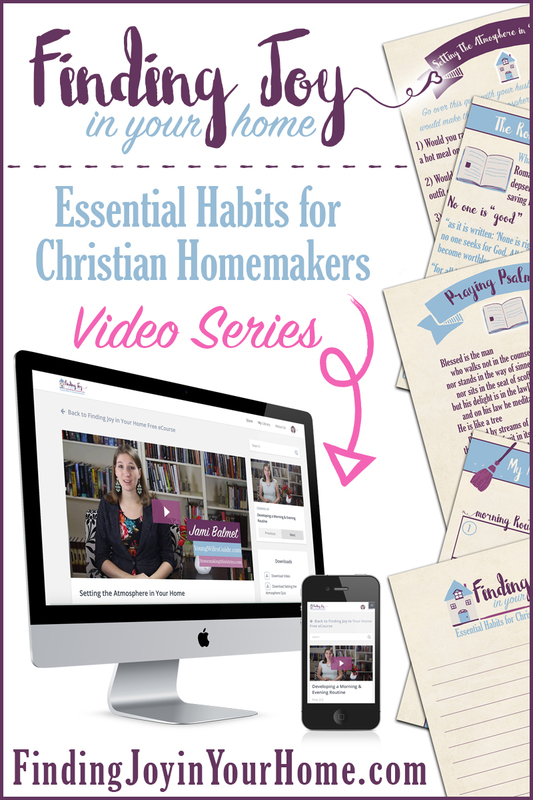 Click here to grab my freebie about being a more ministry minded parent. Working hard and with all your heart is setting an example for your children. An example of thankfulness and good work ethic. Even if it’s just the little things that you have to do in your life every day like dishes and laundry. Oftentimes the term Biblical womanhood gets a bad rap. And it’s often misunderstood as being some out of date, old fashioned terminology. When, in reality, being a Biblical woman is simply living your life by the instruction given to us by God in the Bible, rather than by the instruction the world has to offer. Biblical womanhood is simply putting God’s will first; and following His lead, and not the world’s.